When you need to test a web application and not just an API, you need to check also that the changes in the DOM order and / or .css files did not mess something up with the way the page renders for the user. Usually this is done manually by a tester which gives his approval that after the changes "the app still looks ok". Visual testing is something that gets tedious without even considering that there are more browsers to test and whole bunch of resolutions - now with responsive design-. To give an example a small change in the .css style file might trigger in some place the "Submit" button to become very small or even invisible. Now the button is still in the DOM so a check that the next page after calling ('#submit').click() will pass, but in reality the user will not easily be able to submit the form and advance in the flow. The first time I stumbled upon a solution was Huxley which was used by Instagram in the early days. - We can use Webdriver to command a series of browsers and use it's capabilities to take printscreens. When we run the tests, we take new printscreens and fail on any difference from the above mentioned "base" printscreens. We use a diff tool for images which will help outline what has changed. The Huxley way involved doing this in python, I'm just more comfortable to implement roughly the same idea but in Java to be able to integrate it in our test setup. I want you to be aware firsthand and not waste time reading on, as you may consider them deal breakers. If there is dynamic data in your tests they will fail because the printscreens will be different. Example of dynamic data could be the date / time so if you display some entries with creation/update date, you'd need to adjust your mocks to show the same time. Animations(gifs / carousels) that are not predictable that could interfere with the printscreens and may trigger false tests fails. After changes that you approve of, you need to recreate the base printscreens from which we judge that this is the way it's supposed to look. Since we can automate this, it's not really a problem I think. You can still use this method to test components in isolation something in the idea of unit tests but for visual components, vs doing integration tests for the whole application. 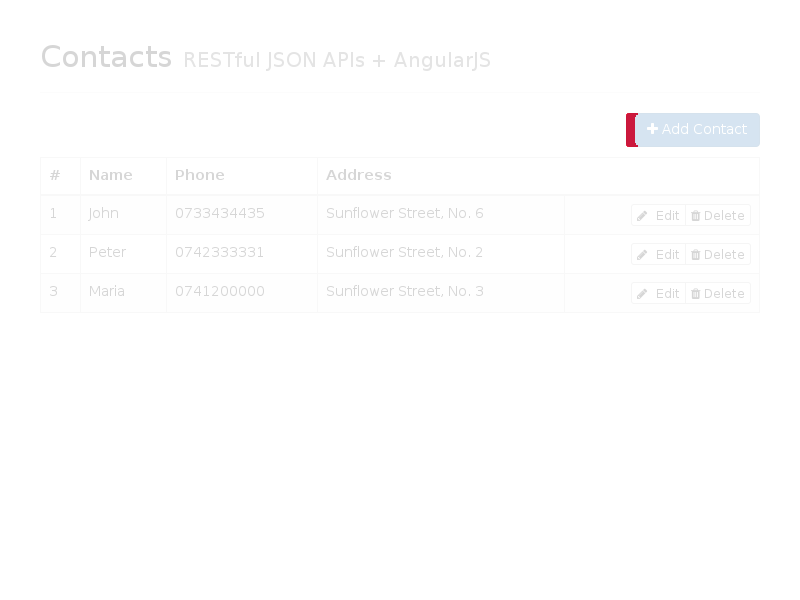 You can still have an automatic way to generate printscreens of all the pages and panels in the application. It's still quite nice that after running the automation of the printscreen generation you can take a quick glance how the whole app looks. I've already talked about how to setup Webdriver and possible way of deploying our web app inside a docker container, but how can we determine that two printscreen images are different and once deemed different can we highlight the differences? Deeming two images equal is the easier part. For example we can do a fast hash function of the content(say md5). For highlighting the differences well, we can use the all powerful ImageMagick program which allows for a command line input of image manipulation. Extra praise for ImageMagick which you can use as a Swiss army knife of image manipulation and command it quite easily from Java which by itself is not very versatile at . So, little advice to consider it should you find yourself in need of doing image manipulation from java. One of the many functions available in ImageMagick is image diff so we can use this to highlight differences between printscreens. And we can use im4java library which is just a wrapper through which command line parameters are passed to ImageMagick, which means we must have ImageMagick separately installed on the machine where we run the tests. Luckly this is just very simple for Ubuntu. after playing around with the css file, can you already spot it? Update In the next article Docker containers for Visual Regression Testing setup I've improved on the solution by using docker to package the whole setup (imagemagick with phantomjs) inside a container and with docker-compose to start this container along with a separate Tomcat container. We start with CrudNgDemoAppTest which contains some simple tests for the Login Page. @RunWith(Parameterized.class) allows us to pass in different screen resolutions which are returned by getDimensions method which is marked as the supplier of values with the @Parameterized.Parameters annotation. Each Dimension parameter get passed to the public CrudNgDemoAppTest(Dimension dimension) constructor. The getDimensions method must return a Collection<Object> because the Test class constructor might take more than one parameter(although in our particular case it's just a single parameter). The result is that we'll have a quick automated way to see how the application looks for different screen resolutions which helps with testing the look on different mobile devices / desktop. And we can add more resolutions at any time. BaseUIWebdriverTest is our base class from which all our UI tests will inherit. It will contain the logic to take printscreens and helpers method for Webdriver commands(while writing this I stumbled upon Selenide which I plan to give it a try in the future). The idea was to not throw an immediate Exception whenever a difference in printscreens is encountered, because for a single @Test we may want to take multiple printscreens after different actions that change the UI in the whole flow. Therefore the method takeScreenshotCompareAndCollectDiff just adds the possible record of an image diff to a List<ScreenshotDiff> and does not throw an Exception. We use flagUpdateReferenceScreenshots(which we get from maven properties or overriden in the command line) to decide if we need to update the reference screens or do the actual comparison of the new screenshots with the references. So we need a way to signal a test failure if there are image diffs at the end of the test to get a hint what screens differ. We don't want to add boilerplate code to explicitly check at the end of every test if there were any differences between the printscreens. JUnit provides a way through TestRules to indicate that it needs some work done before and after a test's execution. It's actually simpler to extend JUnit TestWatcher abstract class as a way to do something around @Before and @After methods of a test. A link better explaining JUnit TestRules and why you should use them and their roles in setting up and cleaning up after a test. BTW you might also be interested this is a good way to have a printscreen taken whenever a Webdriver Test fails to see how the page looked when it failed, you can have a look here. PS: We could actually have achieved the same by implementing the check for in the @After method of BaseUIWebdriverTest, but this way it's more decoupled I think and also gave us a chance to advertise the TestWatcher class. So we programmed the tests to run with the generic WebDriver interface. However we need an "actual browser" implementation to "drive". I've already mentioned here that I like the speed and easy install of the PhantomJs headless browser. While it is not included in the project the idea would be to have more than one browser tested. Right now I'm we'd simply create some other classes like FirefoxCrudNgDemoAppUITest, ChromeCrudNgDemoAppUITest which will just all extend the same scenarios defined in CrudNgDemoAppTest, and just have different code for Browser object initialization. We'll also probably need to add the name of the browser to the generated image files to know which is which, but all this seems pretty doable at least in theory. and the one that uses im4java to create the diff image. 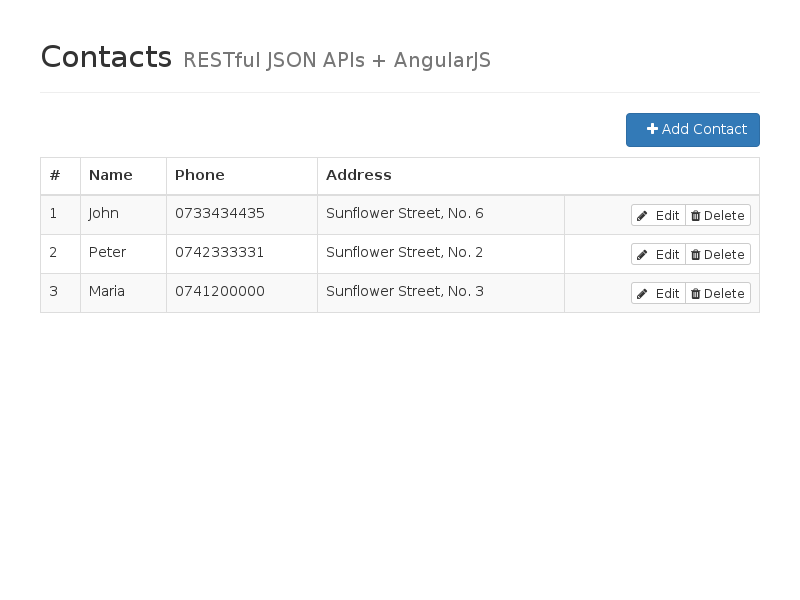 The web application we tested in the example is the AngularJS CRUD demo app of the Pippo web framework. I very much like Pippo framework as it's the most lightweight jee servlet3 web framework, a perfect fit for the smallest VPS instance or even on RaspberryPi to have it running. I suggest you give it a look. While pippo is very lightweight(~200kb) itself and being built from the start with the concept of modules you can tailor it to just fit your exact needs(different template engines, codahale metrics, etc), still the inclusion of the webjars for angularjs(which accounts for 60% of the size) and bootstrap and font-awesome makes up for almost all the rest of the .war file for the AngularJS CRUD demo. We just might have added another piece in the great puzzle of automatization of the build & testing process. At the very least it's an idea for a way to generate all the printscreens of the application along test cases. Along the way we also shared some info about parametization of the Junit testcases by injecting different screen resolutions. We also touched a little on the ways to use JUnit @Rule to setup pretest conditions or cleanup after the test. PS: In the next article Docker containers for Visual Regression Testing setup I've revised the running process to package the dependencies inside a docker container.